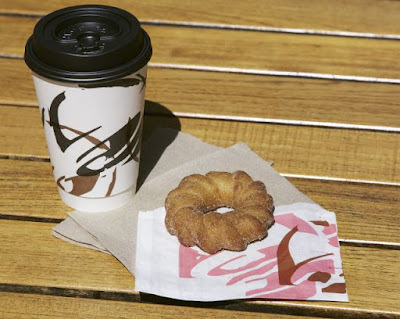 Taco Bell tests the new $1 Churro Donut as a potential breakfast item in Kansas City, MO. The value-priced men item is a donut-shaped churro deep-fried until crispy and dusted with cinnamon sugar. If the Churro Donut makes it out of test and onto the national stage, it wouldn't be the first churro that Taco Bell has put out. Back in 2012, they introduced a since-discontinued dessert menu that included a churro (and cookie sandwiches!). Maybe the novelty of the donut shape will give it an added boost the second time around. The Churro Donut test will run through early May 2019.